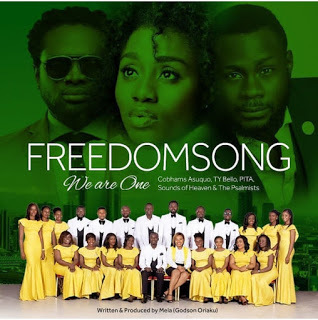 Group of Gospel music artist in Nigeria has teamed up to celebrate the Nigeria independence day celebration with a song tagged "We are one", This is actually a freedom song you should hear. This is the song we have been waiting for. It's not the regular song of patriotism. It gives us alternatives to explore to make you more influential as a Nigerian. We are excited to have Cobhams Asuquo.